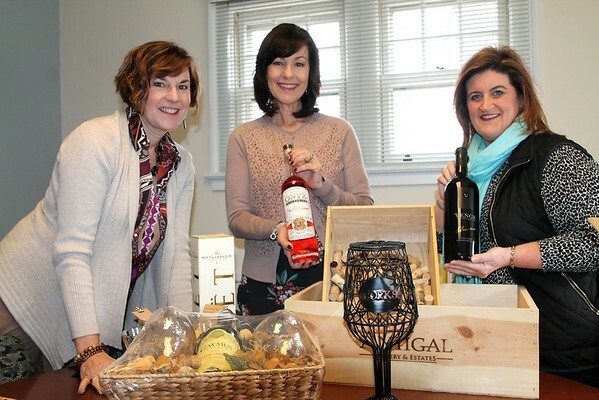 BRISTOL - With only a week to go, staff from the Bristol Hospital Development Foundation organize the many items that will be part of the silent auction portion of Bristol Hospital Development Foundation’s annual Festival of Wine and Spirits. The event takes place from 6 to 10 p.m., Saturday, March 10, at the DoubleTree by Hilton Hotel, 42 Century Drive. Attendees will enjoy an array of fine wine, beer and spirit tastings from local top distributors. Maple End Package Store in Bristol and owner Marvin Friedman coordinated the more than 50 distributors and exhibitors. In addition to the silent auction, food stations will be set up as well as live music by the Billy Cofrances Jazz Quartet. All proceeds from the event help fund the upcoming renovations of the Bristol Hospital Emergency Center. Tickets and sponsorship opportunities for the Festival of Wine and Spirits are still available. Tickets for the event are $125 each. For sponsorship information and to purchase tickets, call the Bristol Hospital Development Foundation, 860-585-3365. Posted in The Bristol Press, Arts, Bristol, General News on Friday, 2 March 2018 20:03. Updated: Friday, 2 March 2018 20:05.